DALLAS (AP) — Texas is eliminating hemp from its list of controlled substances, bringing it in line with federal law but possibly feeding confusion about the legality of some hemp-based products. The Texas Department of State Health Services is on Friday removing hemp from a list of Schedule I drugs that can be abused and have no authorized medical use, the Dallas Morning News reported. Other Schedule I drugs include LSD, heroin and cocaine. Hemp and marijuana are both derived from the cannabis plant, but hemp has low levels of THC, the psychoactive compound that gets marijuana users high. Declassifying hemp doesn’t clear up the legality of hemp products currently sold in Texas, such as pain creams and oils, according to some legal experts. “It’s really not going to have any direct impact other than to confuse people even more,” said Shannon Edmonds, staff attorney with the Texas District and County Attorneys Association. Advocates said it is a progressive step that highlights the validity of those products. Last year, U.S. Congress legalized hemp that contains less than 0.3% of THC. 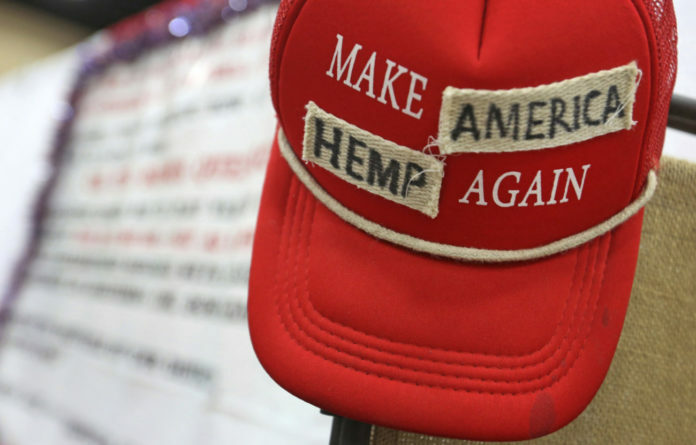 It also loosened the regulations for businesses and customers to carry hemp across state lines and for farmers to cultivate it as a crop. State legislators would have to modify the classification of hemp and the current criminal penalties for buying and selling hemp to align fully with federal law, Edmonds said. The state’s Compassionate Use program, launched in 2015, authorizes patients with unmanageable epilepsy and two doctor’s prescriptions to buy cannabis-based medicine with up to 0.5% of THC. Three companies possess state licenses to grow marijuana, produce and vend the low-THC medication. Cannabidiol, or CBD, is a cannabis compound that can be removed from marijuana or hemp. Texas law only permits hemp-based CBD products without THC. Senators have asked the FDA to update rules on food products containing CBD. State lawmakers were discussing several cannabis-related proposals on Monday.